Italthai Engineering organized a seminar on “I Leader Junior” to help develop human potential to become a great leader in the future. 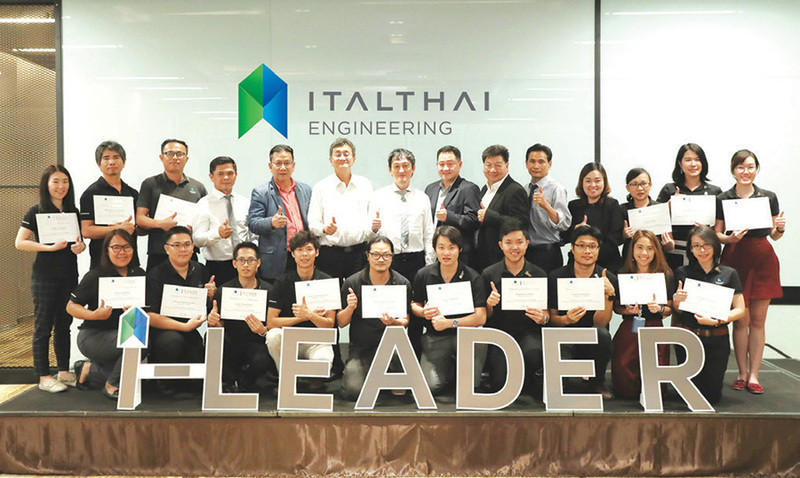 Mr.Sakol Laosuwan, Managing Director of Italthai Engineering Co., Ltd. or (ITALTHAI Engineering : ITE) was the Chairman of the opening ceremony of the seminar, and who also gave certificates to participants in the I Leader Junior course. It is a potential employee development program that is ready to grow them into an executive level, by building knowledge, skills, and casting on corporate culture of an organization to become stronger, which was held at the Mercure Hotel Bangkok, Makkasan.